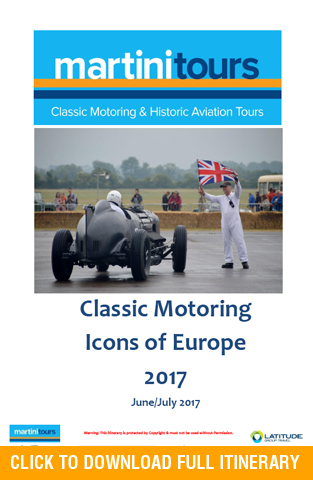 Experience the best of European motoring and motor racing history. Begin this extraordinary tour in Venice, Italy, breathing in the history and aura surrounding one of the world’s oldest motor races, the Mille Miglia. Following a visit to UNESCO’s World Heritage Centre of Verona, one of Italy’s most beautiful and historic places, the journey continues by taking in the iconic motoring marques of Italy and Germany. We tour the Porsche, Audi, Lamborghini and Ferrari museums, encountering legendary racing and sports cars, fascinating production models and unusual prototypes. Admirers of Bugatti will never forget their visit to the world’s largest collection of these amazing automobiles. 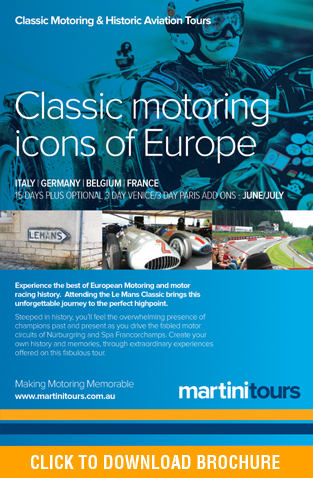 See the undeniable icons of world motor racing circuits including Le Mans, Spa Francorchamps and the old Nürburgring. Enjoy a chance to drive these most beautiful racetracks in the world in your choice of car ranging from entry level race cars to super cars! 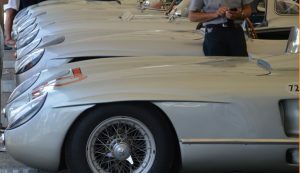 The highlight of this tour is attending ‘Classic Le Mans’ – a biennial vintage sports car event held at the Circuit de la Sarthe near Le Mans in France. Create your own history and memories through the extraordinary experiences and activities that bring all these motoring icons to life. This is the trip of a lifetime that you will never forget!